Build that hype y'all! 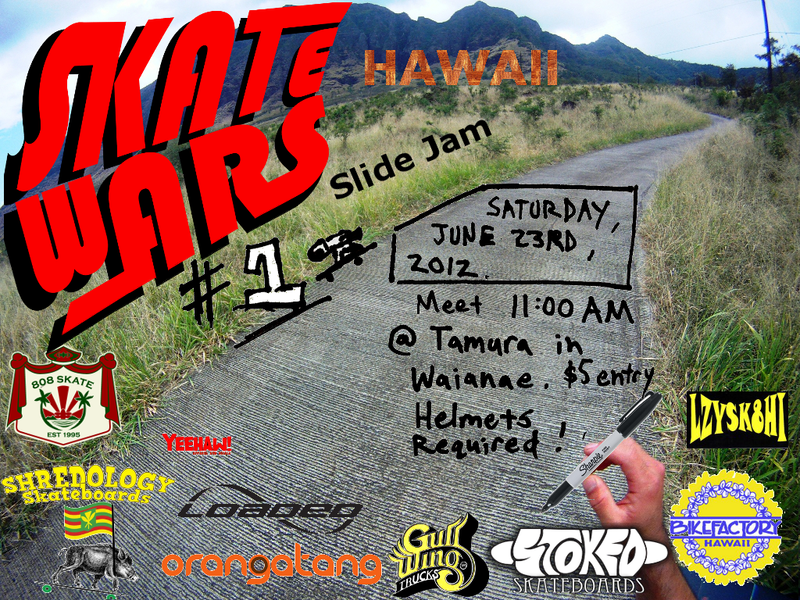 The first ever SKATE WARS slide jam will be hitting the Island's with a whole lotta fun for the summer so be ready. On June 23, Eric Sato is rounding up all of the islands shredders to go to a secret location and sesh the sh*t outta the hill. Being run like more of an open jam, with several categories to be won... I'm sure everyone will be stoked. More skate time! 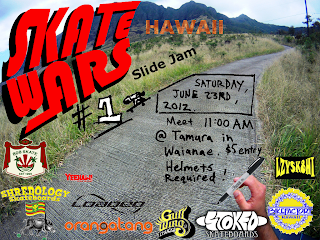 Come out on June 23rd at 11am, and make sure you have your battle gear ready for SKATE WARS.